Su serves a wide spectrum of clientele, and is proud of his success stories. “I had a client in his fifties who wanted to get in shape to try out for a baseball team. He’d be competing against younger guys for a spot on the roster. He worked hard, and was successful in making the team,” said Su. “I also went on a journey with an older gentleman to help him rehab from an old shoulder injury. Over time, I was able to help him improve his strength and range of motion.” Su is also currently training a high school football player being scouted by several Ivy League college football programs. 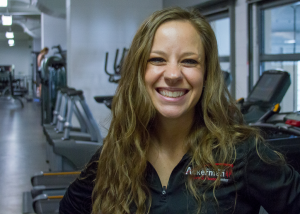 “I specialize in a more functional-based strength program, with cardiovascular conditioning. That means I have clients use their bodies as machines instead of using actual machines. I create and design workouts using tools like straps, free weights, and stability balls,” explained Su. As a hairdresser, Patti Lawler enjoyed helping her clients discover a new hairstyle, color, or cut that increased their self-confidence and made them happy. 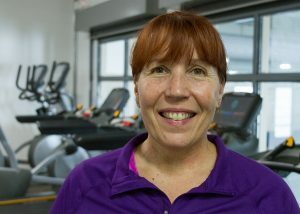 Now, as a personal trainer with the Glen Ellen Park District, Patti continues to help people by training them to improve their physical condition, their eating habits, and their motivation levels in their quest to develop and maintain a healthy body and a positive self-image. An energetic and caring mother of two, Stacey Lim knows the true meaning of “personal training.” Stacey was a dog groomer for 15 years before making a commitment to fitness and an eventual career change to personal training. For the past 12 years, Stan has been training clients in New York and Chicago. 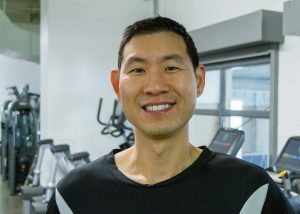 He holds ACE and NASM certifications for Personal Training and Performance Enhancement. Stan believes in body transformation through diet and exercise. Specialties: Weight loss, core training, nutrition, and strength and speed training.